What PR Pros need to know about Free Speech and Social Media. Steps you can take now to protect your organization during future negative social media or publicity. Different speech rights of public and private sector employees. Current legal landscape regarding employee speech. 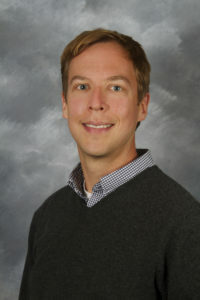 Michael O’Brien has been a licensed Alaska attorney since 2003. He is an associate general counsel at the University of Alaska system where he works on labor and employment, Title IX, NCAA, and other issues. He also owns Daatsoo Enterprises LLC, a consulting firm that works with organizations on strategy, employment issues, and finance. He is the vice president of the Fairbanks Northstar Borough School District, where he served as head of the Policy Review Committee during its re-write of employee social media policies. He has most recently received training in crisis management at the Harvard Kennedy School and also has a MA from St. John’s College and a MS and JD from Vermont Law School. If you purchase luncheon tickets and are unable to attend, we suggest you offer your ticket to a colleague or student. If you would like the chapter to open the seats to others, please email Brooke Taylor. Once registration closes, all ticket sales are final.